For us, wedding photography is not just about looking; it’s about getting a feel for those unique moments and capturing those feelings so that others will feel them too, each time they look at your pictures. This is why we take time to get to know each bride and groom and to work with them on an individual level to attain wedding images that encapsulate their love for each other. The Flowerfield is a hidden diamond situated on Long Island’s prominent North Shore. As soon as you enter the gates and drive up the winding pathway, you will be delighted by the surrounding manicured gardens, impressive fruit orchards, vineyards, reflecting pools, and tumbling water fountains. You will feel the ambiance of sophistication and charm immediately. You want all those near and dear to you to be present on your special day, and you can seat 350-400 of them in the elegant Grand Ballroom. With 6,000 square feet of exquisite décor and vaulted 15-foot ceilings, the ballroom cannot fail to impress. You can dance the night away with your groom and your guests on the 850 square feet mahogany dance floor. It’s the perfect space for your reception. The venue also includes a cordial bar and two cocktail bars. Why not hold your wedding ceremony in the Flowerfield’s 14,400-square-foot atrium: a climate-controlled glass-enclosed environment which houses exotic plants and trees. This beautiful space is perfect for hosting a cocktail party or a traditional reception. Its unique features include ceiling lanterns and a koi pond complete with a footbridge. The venue also includes a baby grand piano, large built-in bar, chef stations, and a mahogany dance floor. The atrium has a capacity for 300 for a seated reception and 250 for a cocktail reception. You can take your vows on a miniature island within a picturesque gazebo nestled among the trees and gardens of Flowerfield. The signature island can comfortably accommodate 250 guests on the manicured lawns. They will watch as you proceed to the aisle over a quaint footbridge while stately swans swim beneath and fountains splash placidly nearby.  Because Flowerfield only holds one wedding ceremony at a time, you can be sure that you and your family and friends will be treated with the utmost, exclusive service. Your guests will have full access to the estate and are invited to roam freely throughout the gardens and vineyards. Your gourmet wedding banquet will be prepared by the Flowerfield’s executive chef. Each mouth-watering dish will be created using fresh, local ingredients and presented with contemporary style. You and your groom are invited to meet with the chef to discuss your individualized menu. If you have chosen the Flowerfield as your wedding venue, we would love to meet you and discuss the plans for your wedding and reception. You can also take a look at our extensive portfolio of wedding photographs. Contact us today so we can arrange to meet.